It’s possible for millions of people to read a website story and it starts with the headline. Write an attention-getting headline to grab and keep a reader. Provide original stories and content to keep them on your website. When people read your website, eyes naturally scan page content left to right. Headlines either pull readers in or push them away. Compel readers but don’t fake them out. You have to provide information that can back up the promise on top of the story or article. Take a minute before or after writing to get creative with headlines. Play with words. 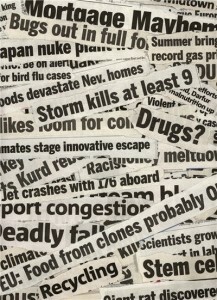 Many headlines send readers in different directions than planned because words used have double meanings. Be careful what you write. You might say something you didn’t mean to. Most people learn headline disasters first hand. A second set of eyes will catch unintended meanings in words before clients will. Read headlines aloud and make sure that someone else reads them. Put them down for a while and look at them again before running them. Jay Leno features a Headlines segment on his show because there are so many poorly written headlines with unintentional meanings. Great ideas take time. Write a headline and come back to it later. The second or third draft is usually the best effort. It doesn’t matter if you know how to spell because spell check covers the alphabetically challenged.